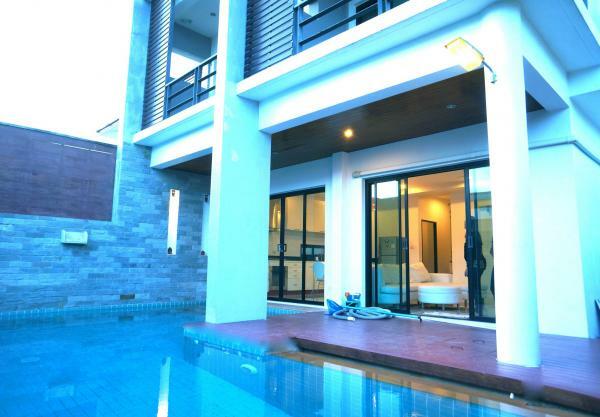 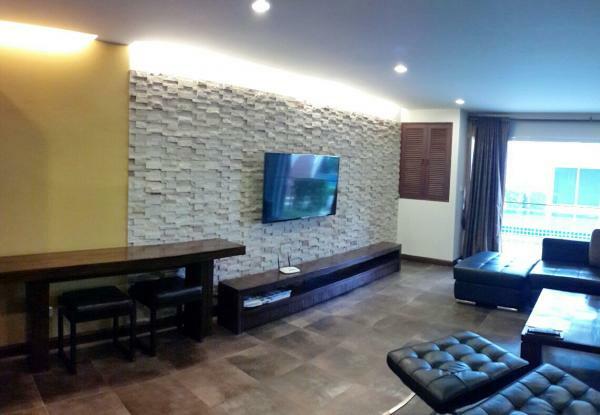 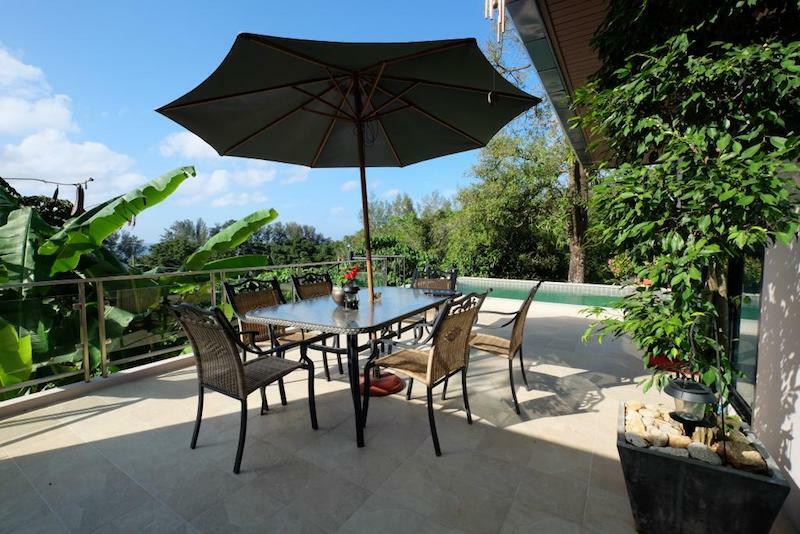 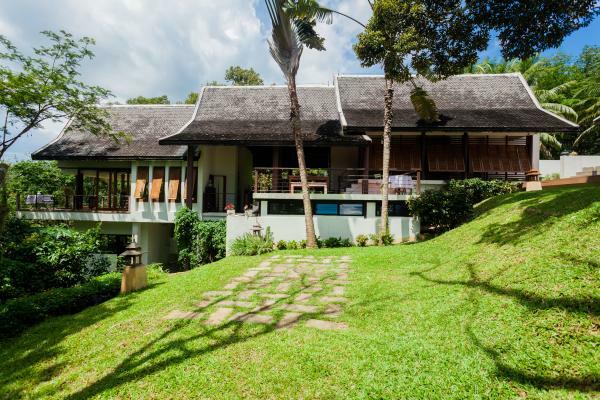 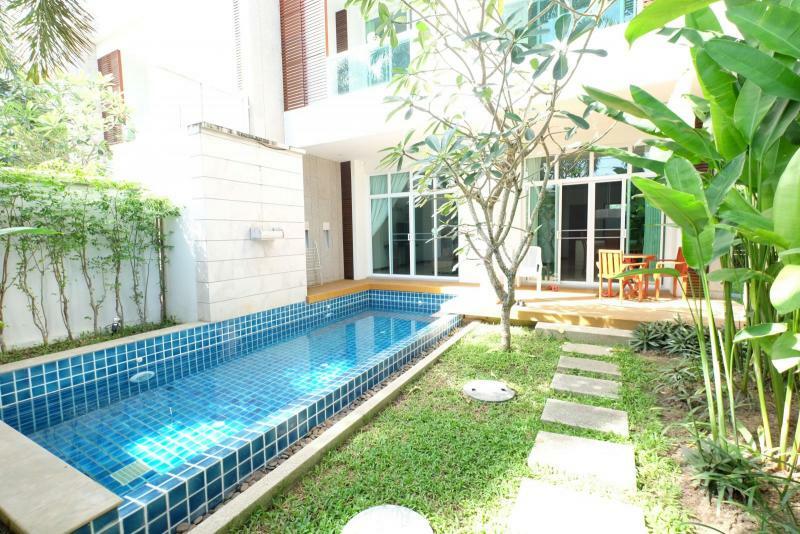 This 4 bedroom villa for sale is located inside a gated community (The Palm Villas) in Paklok, Phuket. 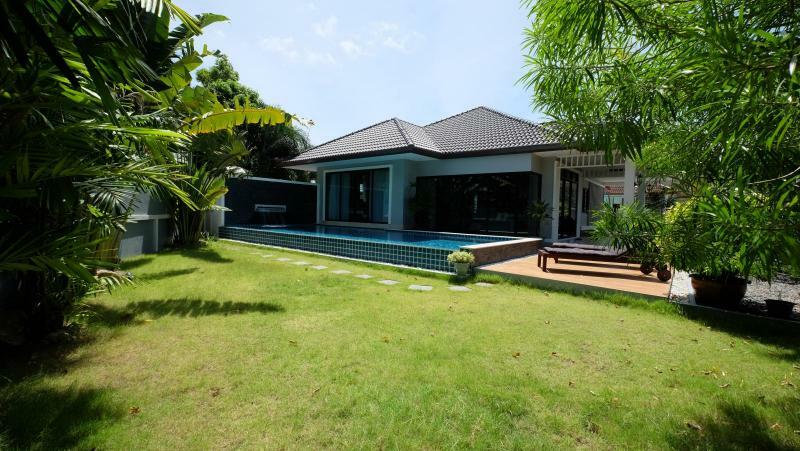 This house has a living area of 170 m2, setting on a plot of 396 m2, with 4 bedrooms and 3 bathrooms (2 ensuite). 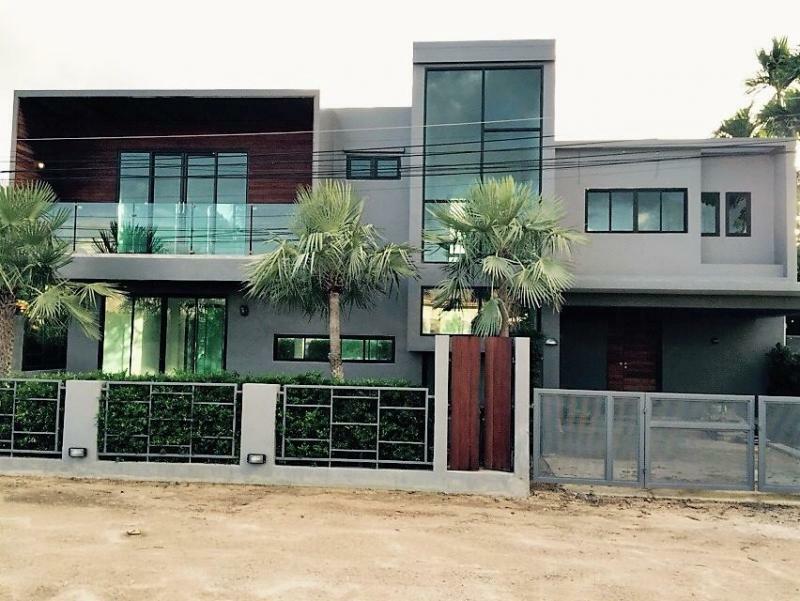 It was completed in 2014. 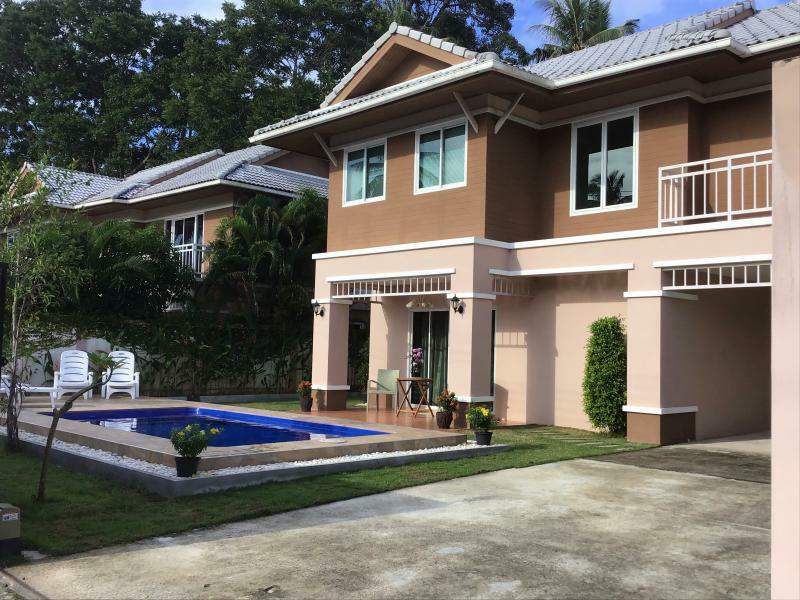 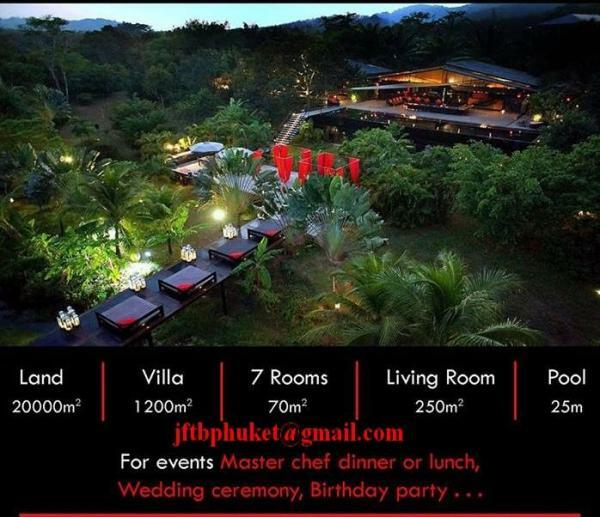 Freehold property under Thai company asset.